Description: Series of reprints of books originally published 1928-1953, ill. in b/w. 1. Vorbereitender internationaler Kongress fur neues Bauen; 2. Die Wohnung f�r das Existenzminimum; (1 and 2 bound together) 3. Rationelle Bebauungsweisen; 4. La charte d'Ath�nes; 5. Logis et Loisirs; 6. A decade of new architecture; 7. Documents; 8. The heart of the city; 9. Contribution � la charte de l'habitat. 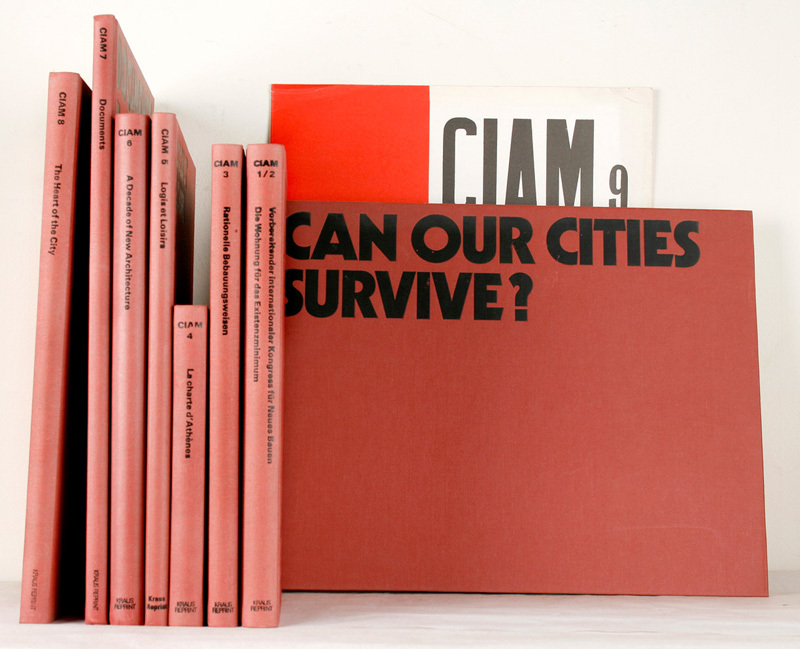 Sert (Jos� Luis), Can our cities survive? an ABC of urban problems, their analysis, their solutions. Ibidem, 1979. Reprint of the original, CIAM (1944). Oblong, ill.